Before you can take the practical driving test, it is essential that you pass the theory / hazard perception tests. (Most major book retailers like WHSmith is where you can purchase these reference materials. Or see our useful links page. To book your theory test call 0300 200 1122 or use the DVSA Online Booking Service (The fee is £23.00) or alternatively click here to book in Online. You have 57 minutes to answer 50 questions of multiple choices. You must get 43 out of 50 questions asked to pass. There will be 14 video clips to test your hazard perception skills. Also, there will be 15 hazards to identify. One clip will contain two hazards. You can score up to 5 points on each one, depending when you identify the hazard or a developing hazard. One will need to score at least 44 out of 75 to pass this test. The hazard perception part is delivered on a computer and you respond by clicking a button on the mouse. This is an alternative way of preparing for the multiple-choice part of the theory test. It contains all the questions and answers and also allows you to take mock tests. 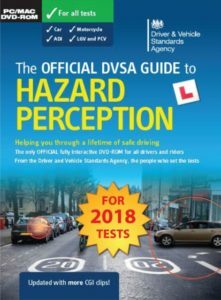 We strongly recommend that you use this, preferably with your trainer, to prepare for the hazard perception part of the theory test. This is available as a DVD and booklet pack. See our useful links page to find mock test and relevant information. HIRE OF CAR FOR TEST: Pupils can only use our cars for a test if up to test standard. This is strictly at the discretion of the instructor whose decision is final. You will have 40 minutes to demonstrate your skills and abilities, and show you can drive competently and safely in all kinds of driving situations. On your drive, you will also have to carry out 1 manoeuvre, and possibly the emergency stop. You may have to drive with SatNav or may do independent driving, which will last 20 minutes. At the beginning of the test you will have to do a “show me” “tell me” on how you would carry out safely and maintenance checks on your vehicle. You will have to answer 2 questions, the 1st “tell me” question at the beginning of the test and the 2nd “show me ” question as you are driving. Visit the Learner Login section. If you do not have the password, ask your Driving Instructor. At the end of your test the examiner will tell you if you have passed or failed. If you commit anything serious or dangerous during the test or more than 15 minor errors during the test you will then fail. Once you have passed your test you are on a probationary period for 2 years, if you collect 6 penalty points you can be disqualified from driving and have to retake your theory/practical tests again. To book your practical test Online by clicking here. 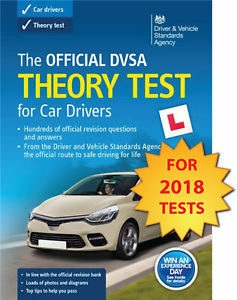 To book your practical test call 0300 200 1122 or use the DSA Online Booking Service .